Published: Jan. 1, 2017 at 01:53 p.m.
Cleveland Browns QB Robert Griffin III links up with tight end Gary Barnidge on 4-yard quick hit TD. Published: Nov. 20, 2016 at 07:16 p.m.
Cleveland Browns tight end Gary Barnidge pulls in a 14-yard touchdown reception. 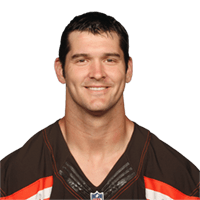 Published: Oct. 16, 2016 at 01:27 p.m.
Cleveland Browns QB Cody Kessler finds tight end Gary Barnidge for a 43-yard gain. Published: Aug. 18, 2016 at 08:59 p.m.
Cleveland Browns quarterback Robert Griffin III finds tight end Gary Barnidge for a 29-yard TD.